Michael Klaray is a partner who practices exclusively in the firm's estate solutions practice group and is co-chair of the group. He believes in helping professional corporations and small businesses plan for now and in the future. He has a working knowledge of taxation of trusts, corporate law, family law and real estate law and is happy to connect his clients with lawyers in these groups. Estate planning through the preparation of Wills, Personal directives, Powers of Attorneys and Trusts. Estate administration and the representation and advising of executors, administrators and beneficiaries. Estate litigation which includes challenges to Wills and Powers of Attorney, variation of trusts, family relief applications as well as representing and advising individuals with claims against an estate. Adult incapacity and Elder Law, including matters related to powers of attorney, personal directives, guardianship and trusteeship. Michael is a member of the Law Society of Alberta. He is past chair of the Canadian Bar Association Wills and Estates North Section. He speaks annually for the Edmonton Community Foundation "Wills Week". Michael spoke at the LESA Annual Banff Refresher 2015 on Estate Litigation and in November 2015 for the Legal Education Society of Alberta on wills drafting. Michael has also presented to the Estate Planning Council of Edmonton on wills, to the Alberta Association of Gift Planners on wills legislation and for the University of Alberta on professional estate planning and planning related to the family cabin. He is a former board member for WECAN Food Basket Society but continues to do pro bono legal work for the organization. Michael has been recognized by his peers in the 2019 Edition of Best Lawyers in Canada for Trusts and Estates. Michael graduated from the University of Alberta in 2008 with a Bachelor of Laws degree and a Bachelor of Arts (with distinction) in Philosophy and Psychology. 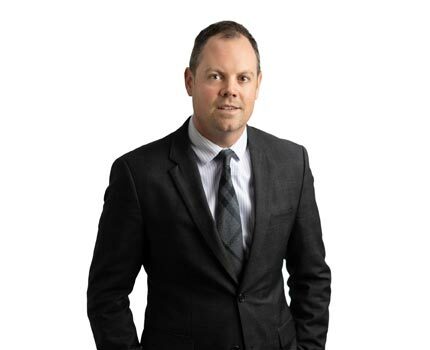 Michael started working with Duncan Craig LLP in the summer of 2006 while attending law school and articled with the firm in 2008 after graduating. Michael was admitted to the Alberta Bar in 2009 and became a partner in January 2016. The partners at Duncan Craig LLP are pleased to welcome Michael Klaray to their partnership. Michael practices in our Estate Solutions group with a focus on estate planning, estate litigation and estate administration. He joined the firm as a summer student in 2006 then articled at the firm in 2008. He was admitted to the Alberta Bar in August 2009. Please join us in congratulating Michael on becoming our newest partner.